I don't know about you, but I thought there was a lot to like about today's Nintendo Direct broadcasts. After all, Japan's Nintendo Direct revealed that a fourth Style Savvy game--known there as Girls Mode--will be released in that country on Nov. 12. The Japanese broadcast also prompted reactions of shock and awe by unveiling a 2018 sequel--or is it more of a spinoff?--to Dillon's Rolling Western that's being called (across the pond, at least) The Dead Heat Breakers. Oddly, neither of these games were shown off or even mentioned during the North American Nintendo Direct. Still, I have a feeling they'll eventually see the light of day here, too. All three of the Nintendo Directs also shared new details about and even in-depth looks at previously unveiled 3DS and Switch titles like Kirby: Battle Royale, Kirby: Star Allies and Square Enix's intriguing Project Octopath Traveler, which looks to be equal parts Bravely Default and SaGa. They also let it slip that the first Dragon Quest Builders is being ported to Switch and will release this coming spring. Still, as much as all of the above brought a smile to my face (and kept it there through the duration of these 45- and 50-minute videos), none of it thrilled me as much as the news that the white-and-orange New 2DS XL, previously a Japan-only product, will hit North American store shelves on Oct. 6. To be completely honest, I need another 3DS like I need a hole in my head, but I've been considering replacing my old "flame red" system for some time now, so why not do so with this smartly colored redesign? 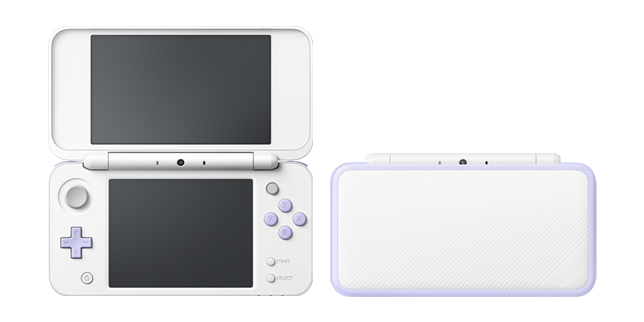 The only thing that's keeping me from pre-ordering one of these white-and-orange handhelds right now is that Nintendo of Japan showcased an even more attractive color scheme--white and lavender (see above)--in its broadcast. Of course, it's highly unlikely Nintendo of America will bring that model to our shores, so maybe I should just go ahead with the white-and-orange purchase. Or maybe I should save my money so I can actually buy a Switch once Nintendo finally works out the kinks in that console's production process?